Pillow protectors are perfect for anyone looking to keep their pillow clean. 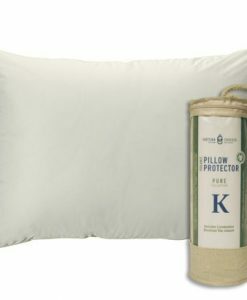 All natural protectors also make your pillow more durable, which increases the overall life of your pillow. Most folks buy their new pillow protector at the same time they invest in one of our organic pillows. It's the same concept as buying a mattress protector for your new latex mattress. The only difference is that while mattress protectors help keep mattresses clean, pillow protectors help pillows keep their freshness! One common question our sleep experts often hear is the difference between protectors and pillow cases. Pillow cases are like sheets you put over the pillow. Cases give you a soft place to put your head, but don't protect the pillow like a pillow protector. The protectors are thin like a pillow case and don't change the feel or comfort of the pillow. If anything, they make the pillow more comfortable, which is an added bonus to extending the pillow's life. Clean them with your sheets and they won't cause any extra work. Natural pillow protectors are a great way to keep your mattress healthy. And since the organic cotton pillow protectors are made with organic cotton, it means they're sustainable, so you can keep your bedroom green and pillow clean. The main benefit of adding a pillow protector to your cart when you buy a new latex or wool pillow is that they provide protection from allergens. 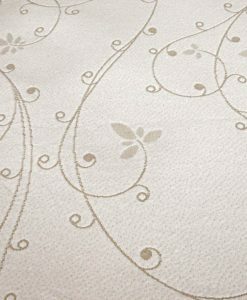 They help keep dust and other allergens away from your bedding and mattress, and if you have allergies or live in a region with lots of pollen, you know how important this can be. The protectors come in standard, queen and king sizes and work with any sheet, pillow or mattress size.